This is a 10 foot length package of the good looking plastic Convoluted tubing. This color was supposed to be Red but it has an Orange tint to it. If you can make this color work for you it ends up being a real nice deal on this 10 foot package. 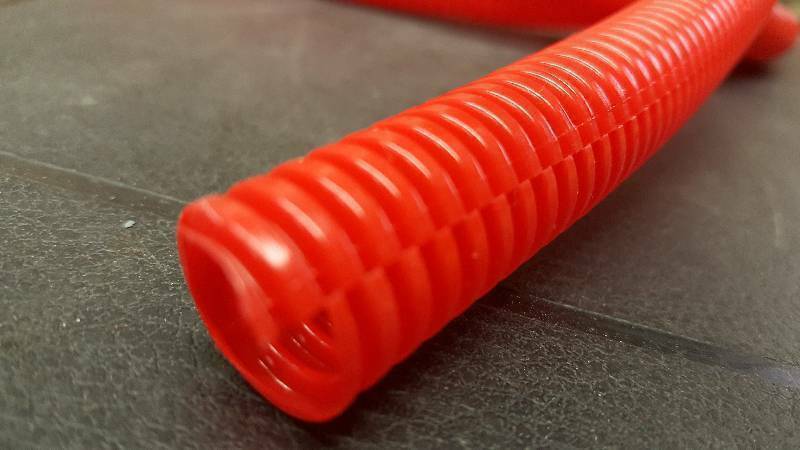 This Convoluted tubing can be used in many applications like covering ugly wiring, cleaning up some hose and metal tubing fittings, cover miscellaneous vacuum hoses and anything else you want to hide. Also this tubing a great way to cover trailer wiring inside or outside from snow and ice. 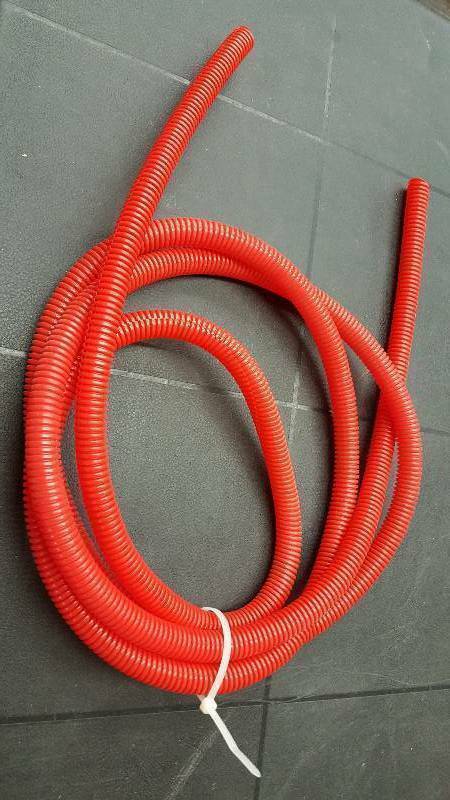 This tubing is split and installs easy on any lines or wires smaller than the size listed. The size listed is the inside diameter of this convoluted tubing.